The Book Beat is teeming with books. Book Beat is located in a nondescript strip mall on Greenfield Road in Oak Park and has been serving its community since 1982. The award-winning store seems to hold more books that it can handle, with books stacked unevenly in spots. But much like my desk, it is an organized chaos where things are right where they belong. 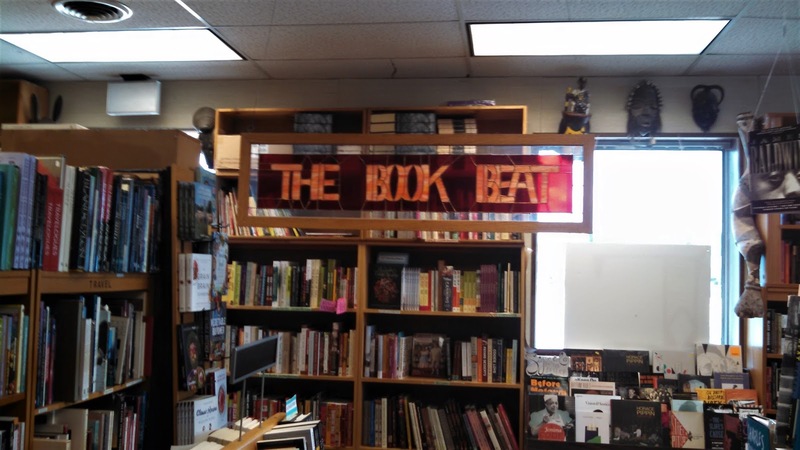 Book Beat carries more than 50,000 titles, including a large selection of Michigan- and Detroit-themed books and an excellent children's book selection. It hosts a series of events each month, including book signings and lectures. Book Beat also selects a book each month for its reading group, which meets offsite to discuss the book. Snowbound's old sign. They replaced it soon after I visited. 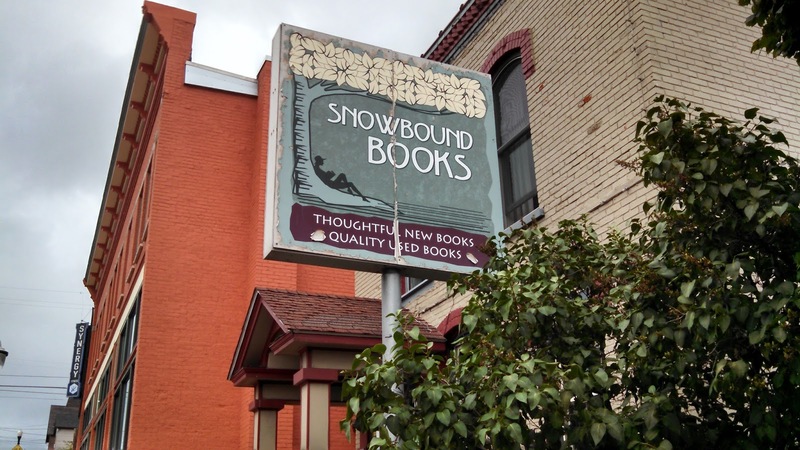 Marquette is a wonderful Upper Peninsula town, and Snowbound Books only adds to its charm. It has been supplying local readers and visitors with new and used books since 1984. I made my only visit to this store last summer on a vacation in Marquette, but I know I will stop in again if I'm in the area. The cozy bookshop has a large selection of new and used books, and they highlight books by local writers. Our daughters loved the kids section, and I enjoyed everything else. I had just discovered the late Jim Harrison's works when I visited. He spent a lot of time in Marquette and set many of his stories and poems in the area, and he even mentioned Snowbound in his novels. I felt as if a visit to Snowbound was a necessary stop on a pilgrimage to his old stomping grounds. I even caught him keeping watch over the place with his one good eye. Pages features books from the Made in Michigan Writers Series. Opened in 2015, Pages Bookshop is a newcomer to Detroit's literary scene. This tiny shop on Grand River Avenue does not have the largest collection of titles, so you might not always find exactly what you are looking for, but you will find something unexpected on the store's tidy shelves. And the store will order anything it does not have in stock and has an online ordering option through its website that allows customers to pre-order books for pickup at the store. 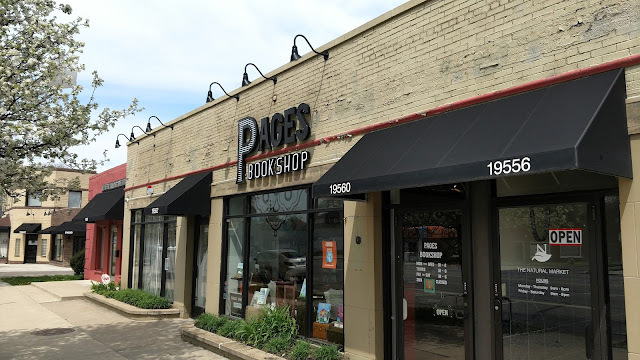 Pages also hosts a series of readings and events for local writers and hosts a local book club. The staff has been friendly and helpful both times I've visited. 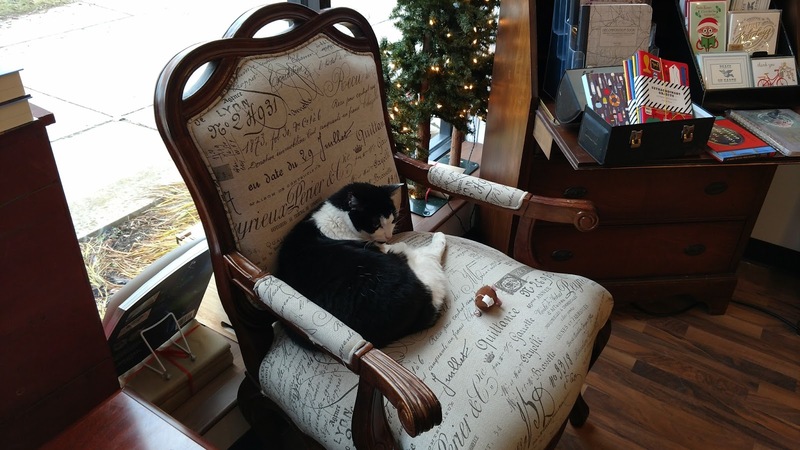 Plus, they have a cat, who gives the store a relaxing and homey feel. Ann Arbor is known as Tree Town. As home to the University of Michigan and several bookstores, Book Town might be a better name for it. 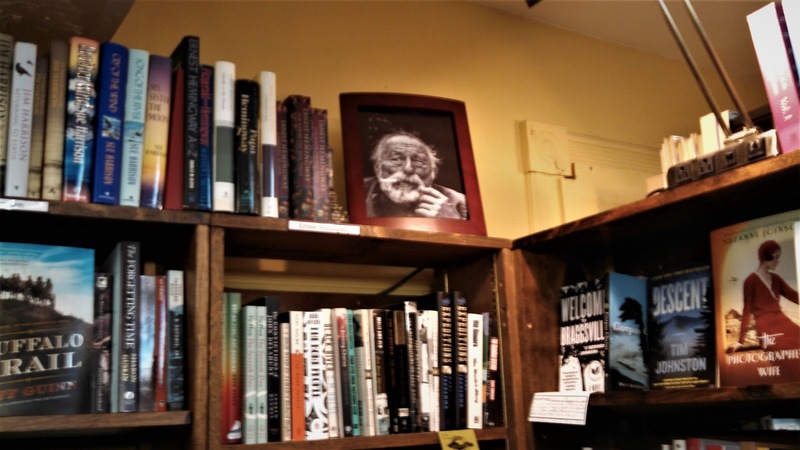 Literati Bookstore opened in 2013 and has quickly established itself as a mecca for book lovers and writers. Literati hosts several book clubs and brings in nationally acclaimed writers for readings and book signings. Literati's fiction section is filled with thoughtful staff recommendations. Literati's website states, "We believe that, contrary to popular belief, we are not hurtling towards some digital, machine-operated future where an Amazon algorithm can decide your reading list. 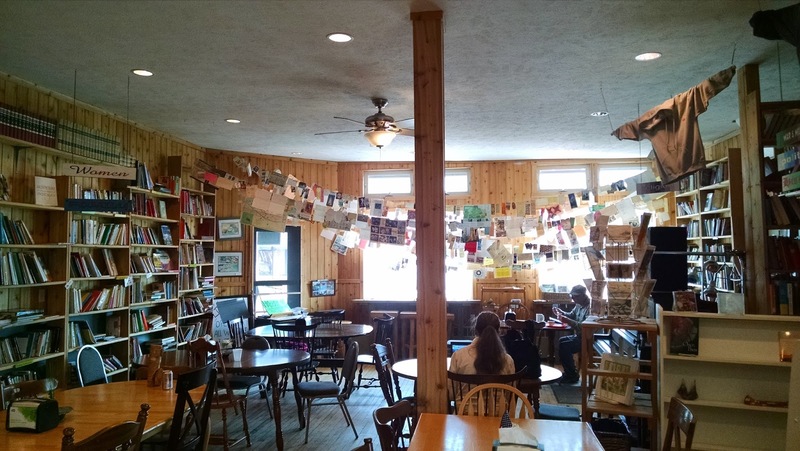 We believe in the whimsy that an independent bookstore provides. We believe that people still enjoy reading real books where real people work in a real bookstore." I believe the same things, and I'd guess most other independent bookstore fans do too. And that's why Literati does their job so well. The above stores are just a few of Michigan's many independents. I hope to visit more during my travels. 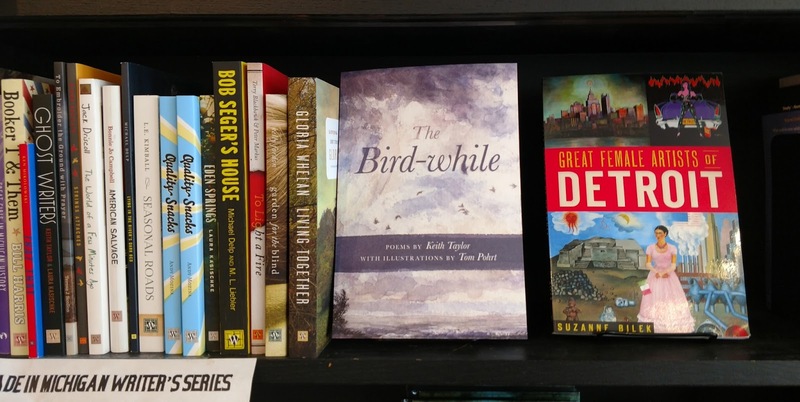 If you're looking for an independent bookstore in your area, try the store finder at https://www.indiebound.org. 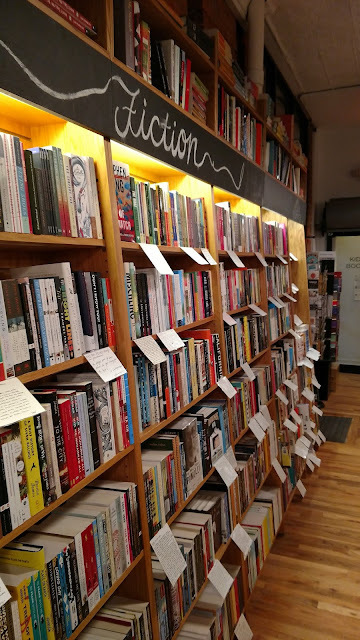 It doesn't include every independent bookstore, but it's a great place to start.